Liberty remained the paramount ideal through the ruptures of political thought that occurred in ancient Rome, medieval Italy, seventeenth-century England, and the great centres of eighteenth-century upheaval: America and France. It emerged from that history as an ideal of personal independence, achieved under a shared rule of law. This concept of freedom celebrates the un-dominated man and woman, not just the individual let alone. It equates freedom with being able to look others in the eye, without fear or deference, thanks to political equality, legal status, social security and personal effort. Although it was lost to sight in the fog of later ideological conflict, eclipsed by struggles over social planning and economic rationalism, it is there still to reclaim and rework. It offers a beacon by which to orientate in thinking about the future of our society and our world. 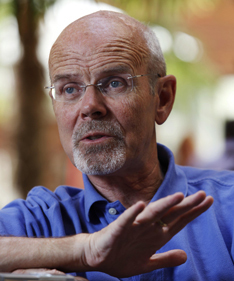 Philip Pettit is Laurance S. Rockefeller University Professor of Politics and Human Values at Princeton University, where he has taught political theory and philosophy since 2002. From 2012-13 he will be spending Spring semester for each of a number of years in the Australian National University as Distinguished Professor of Philosophy.